A couple of weeks ago I came across a really nice looking Harmony Monterey H1325. 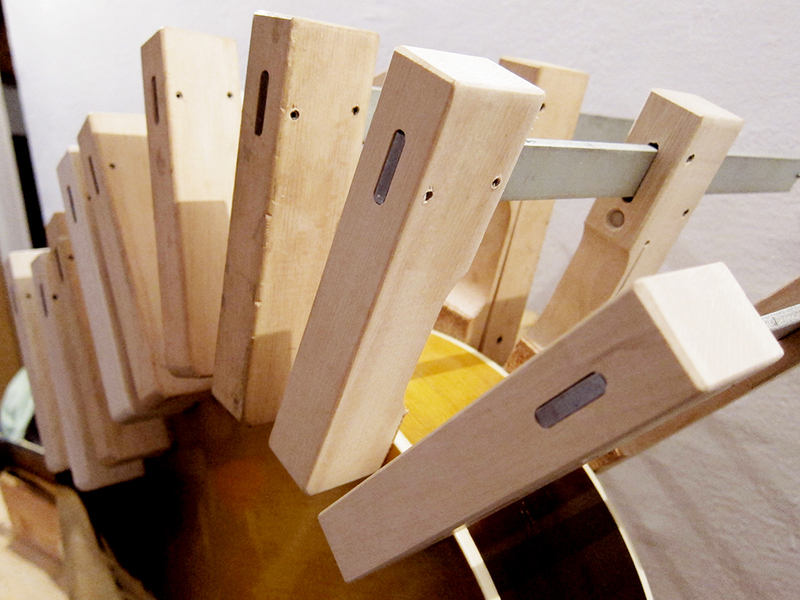 The only way to date these guitars is by the second stamp inside, if you can find it, giving the year and month. Unfortunately I can just see 784H1325 and the second stamp JAN in mine. I assume it’s from the late 1950’s judging by the head logo and the lack of trussrod since that was introduced in 1964. It’s a really nice playing and sounding guitar, not as loud as my Levin archtops, the 1951 Levin Royal or 1946 Levin Model 32, but still a very nice guitar. 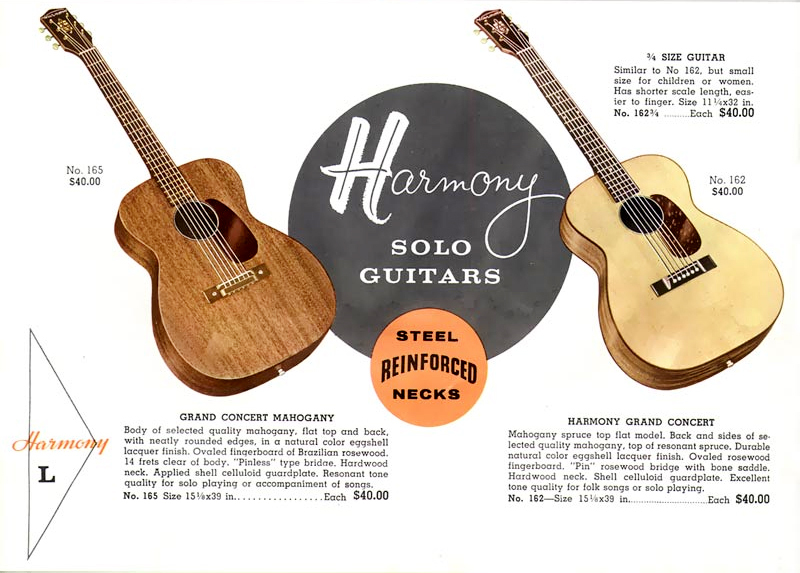 Harmony guitars were mass produced in Chicago during this time and even though they are made from solid woods they feel a bit low budget, in a good way, I guess that’s why they are so damn awesome and look so rock n’ roll. Spruce top, birch body – Grand Auditorium 16 1/2 in. Unusual sunburst pattern in bands. Neck has a trussrod from 1964. There was a lot of cleaning to do and two cracks that needed to be glued. One large on the upper bout and a smaller one on the top and then I glued down the heel a bit better which got the action down. Except for that it was in pretty good shape for being around 60-years old and all original. 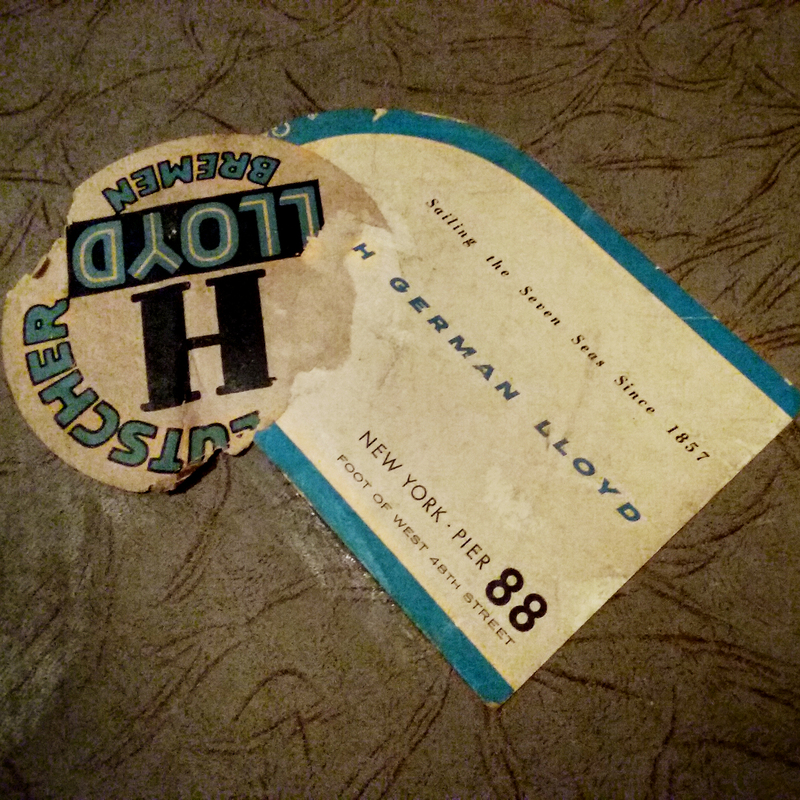 The original case has these awesome looking shipping stickers on it, I presume from when the guitar left America for Germany by boat in the 1950’s carried by the first owner. I also got myself two late 1960’s H162 from the US that I need to restore. First of all they need a neck reset but then I was actually thinking of removing the back and X-brace at least one of them. 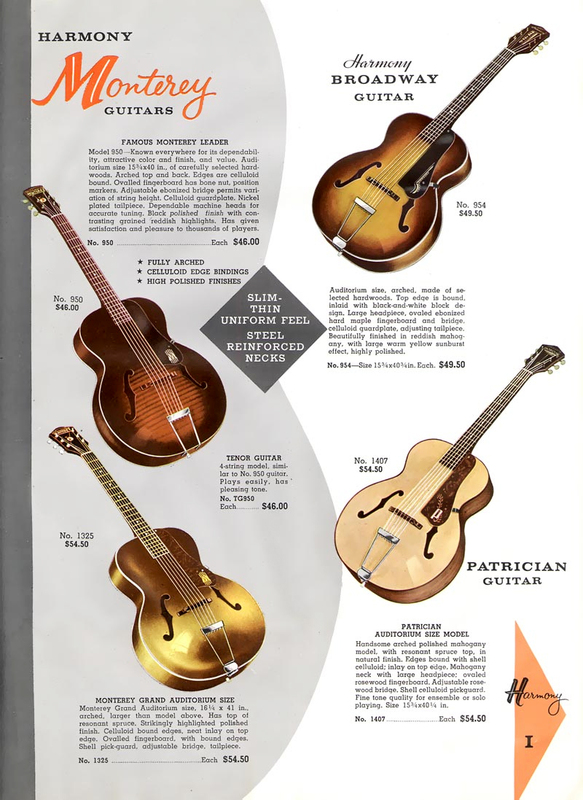 Taken from a 1959 Harmony catalogue.